Top 10 IKEA Sofa Beds Reviewed (Jan 2019) | Sleep GOOD Tonight! When you think about elegant, modern, and easy-to-assemble furniture, what’s the first thing that comes to your mind? Let me guess – it’s IKEA, isn’t it? The Swedish furniture mogul has come a long way, making some of the most revolutionary ideas and designs and defying the logic of the business world. Started in 1943 with the idea of providing state-of-the-art furniture which can be easily assembled at home, the company grew significant amount of popularity with each design they put out. And the list just goes on. However, it is hard to highlight one single trait that makes Ikea furniture, especially Ikea sofa beds, so popular among the buyers. For those who are seeking comfort and simplicity, these beds are great addition to your living space because they offer you just what you need. 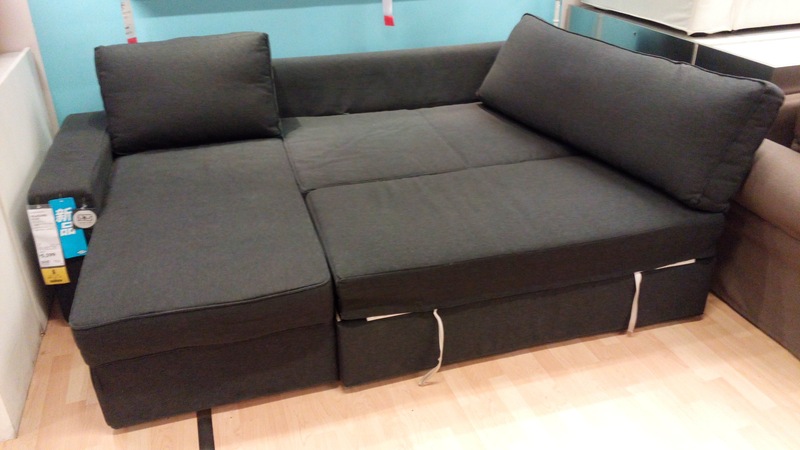 Even if you struggle with square feet, you will find Ikea couch beds very suitable for any type of living space, since they doesn’t require a lot of space once they are folded. The convenience of having a compact and bed is among the top rated features of Ikea couch beds but there’s still a lot of other benefits that you might find useful. To help you get to know these amazing Ikea sleeper sofas, we picked our 5 favorite for a detailed analysis. But it’s not an ordinary analysis – we’re going to dig deep in order to find even the most secretive traits of Ikea couch beds, so make sure you stay with us through the end. When reviewing the beds you’re about to read, we follow several important criteria. First and foremost, our focus was on how comfortable they truly are. Since every of the beds is a couch or one you can sleep on – meaning it is primarily intended for sitting and then for sleeping – our number one criteria was comfort, both for sitting and sleeping. Some beds like Friheten or Holmsund are satisfyingly comfortable, but you’ll have to stick around to read about the uncomfortable ones. The second criteria we followed in our review is do they offer a storage or not. Most of the beds did have a separate storage compartment, which most buyers found appreciative. We also looked at functionality, dimensions, and overall design of the sofas. The final criteria was the price and we tried to relate all the characteristics of the beds with the price and value they offer. Are you excited to find out everything you need to know about Ikea sofa beds? Let’s start! One of the first things that comes to mind when thinking about IKEA is Friheten, a model that strongly relates to the slightly more popular type of couch beds, Ektorp. Most buyers do find similarities in the design but the level of comfort is somewhat different. Friheten sleeper sofa offers you a decent and firm bottom mattress, which will compliment your spine while sleeping. Some of you might find it too hard for sleeping, especially if your previous mattress was soft. The secret trait of this particular sofa is its wide storage underneath the mattress. It’s well-designed to keep your pillows, sheets, and even books or stuff you don’t use anymore. The price is affordable for most buyers and it’s in a good ratio with the quality provided. It’s not too cheap so it’s fair to expect a decent level of quality in both the parts and the material of the sofa. Overall, it’s one of signature pieces of Ikea furniture that offers a good value for the money. If you’re looking for a sofa that will offer you more space when opened, this piece from Friheten collection will fulfill your needs. A three seat bed will make your living room look ultra modern when not opened. On the upside, it offers a great quality both for sitting and sleeping due to the fabric and foam used for this particular piece. This model also has a built-in storage compartment, used for various items that you currently don’t need. This is an important trait for people who has smaller apartments, and who seek any opportunity to grab some extra storage space. A secret power of this item is a chaise which can be moved to left or right, depending on your needs and wants. With that in mind, you can always make your room look fresh and renovated without even having to invest anything – just switch the position of the chaise and your guests will be amazed with the change. It’s easily converted to double bed and then again back to sitting sofa. The dimensions of this product ranges between a full and queen bed, so make sure you keep that in mind when buying bedding for it. The price is in the range with other ikea sofa beds but the quality is not exactly matching the price. Many customers find the poor build quality a major downside to this sofa so you might want to consider some other solution for a better value. This one is a bit different in design than the previous sofas, looking more minimalistic and millennial. Although the flexible back offers different positions in case you want to sit or lie down, there isn’t much other qualities that can compete with other ones we looked over. The first thing that makes this sleeper sofa unique is the lack of storage space underneath the mattress. That means you can’t rely on that compartment but you definitely can find a great use for it in spaces like home office or even the real office. However, notice that the seats are lower than the regular beds, which makes them a bit challenging to sit properly. As far as the price goes, this item is currently on sale and is very affordable compared to the other pieces of furniture. This bed will be a great match for people who need some extra seats but who can’t afford expensive stuff. The most praised trait of Holmsund sleeper sofa is definitely a level of comfort it provides to the sleepers. Unlike the previous models, this one is a premium quality both on comfort, design, and extra storage space. The first great thing about this particular product is the fact that you can adjust both back and bottom of the sofa. The loose cushions that come with the sofa can be angled to fit anyone’s needs and offer a reliable back support. On the other hand, you can easily adapt the depth of the seats, making them feel more comfortable and pleasant, almost like a futon. When used as a bed, it’s almost as long as a queen bed meaning that you will have enough space whether you sleep alone or with someone. The firm mattress will suit your back and spine, leaving you with no sore muscles in the morning. As for the price goes, it fits well into the quality/price ratio. Again, Ikea’s furniture is known for average pricing but high quality goods, which is no exception in the case of this bed. A uniquely designed three seater sofa bed that will make your living room look like the high-end place. Djursbo sleeper sectional is similar in shape with Friheten 3 section sofa but it offers far more quality top material and design. Djursbo is made of a type of a material that looks and feels like leather, so it will be a pleasure to clean it. However, you will need a cover on top of the bed because the leather material is slippery and will make your sheet fall off. There’s enough space for two or even three people to sleep on it, and it’s also a great seater for both adults and the kids. You will find that the price for this piece of furniture is justified, especially when you take a look at design and material. 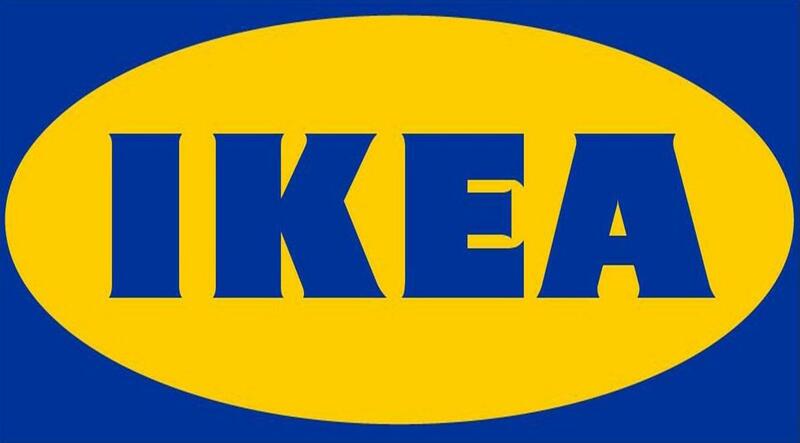 Is IKEA the Only Brand You Should Consider? Ikea is one of the most popular and most important brand on the market but some buyers don’t find their furniture as attractive as they are represented. The main reason why you should also consider some other brands is that Ikea furniture can be expensive and not so easy to put together. If you don’t want to spend too much money on the hustle, you should probably think about other brands as well. Make sure to check out our best sleeper sofas buyer’s guide for the latest insights on other bed brands in USA.